Published Bestsellers: Are you holy enough for heaven? 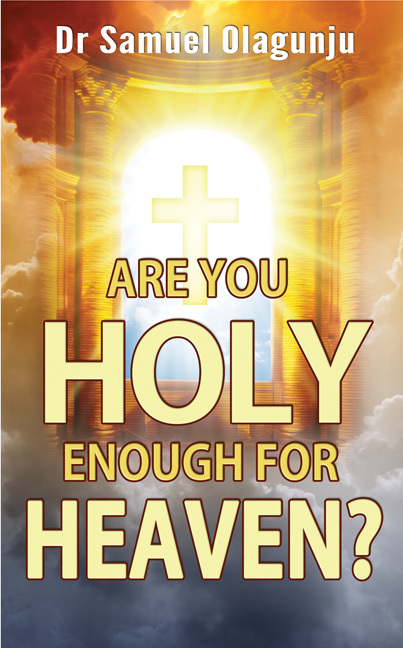 Are you Holy Enough for Heaven?’ Is Dr. Samuel Olagunju’s debut book. He is the Senior Pastor of Bible Faith Holiness Church which he founded in 1988. Bible Faith Holiness has branches in London, Nigeria, Ghana, New York and India. Dr Olagunju, a retired Medical Doctor is originally from Nigeria, and came to Britain in 1964. He is married to Deborah, and they have four daughters: Toyin, Bola, Yinka and Esther. Dr Samuel Olagunju can be heard on the radio and television broadcasts: "The Holy Way", on Faith TV, channel 590 every Saturday at 5pm. He is available for interview at any time.